Denise Bennerson, author, educator, photographer and publisher keeps on recreating herself, going where her spirit moves her. Bennerson’s latest re-creation is as an event promoter. Bennerson is bursting with excitement over the event she is working on. She is planning and organizing from the ground up, the St. Croix Wedding Expo to be held Jan. 25 in the Sunshine Mall. Bennerson is billing the event as one of the largest wedding expos in the Caribbean. The expo is an affair for brides and the general public. Vendors and wedding planners will have the chance to showcase their specialties. There will be a bridal fashion show, contests and prizes. There is even an interactive man-cave planned for the guys. 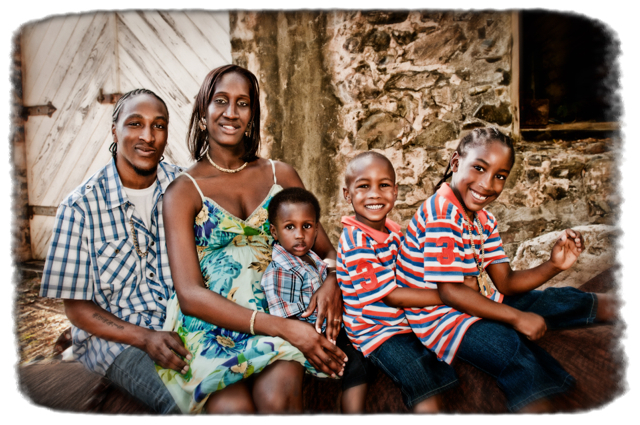 Bennerson is familiar with weddings and joyous occasions on St. Croix. More than 13 years ago she started to do bridal and portrait photography professionally. She said it’s a bit of a challenge taking pictures of people of color, trying to get the right skin tones and shading. She invests in herself and takes photography classes and attends workshops and conferences to perfect her techniques, skills and to learn the latest technology. 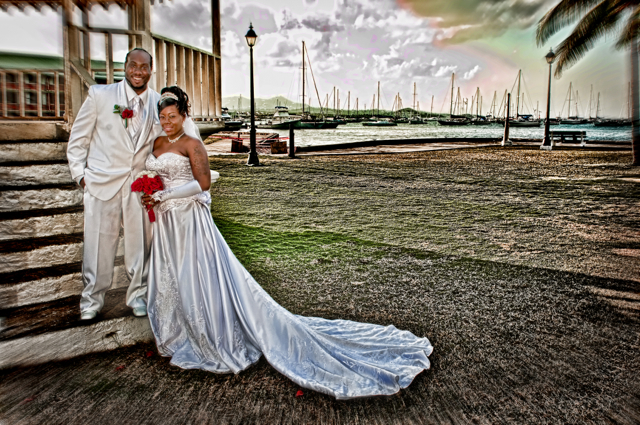 In 2012 Bennerson published the first “Elegant St. Croix Caribbean Weddings Magazine.” It is a high-quality, annual glossy magazine and on-line publication promoting St. Croix as the best wedding destination in the Caribbean. It showcases and advertises the culture, food, flowers, planners, music and everything about weddings on the island. 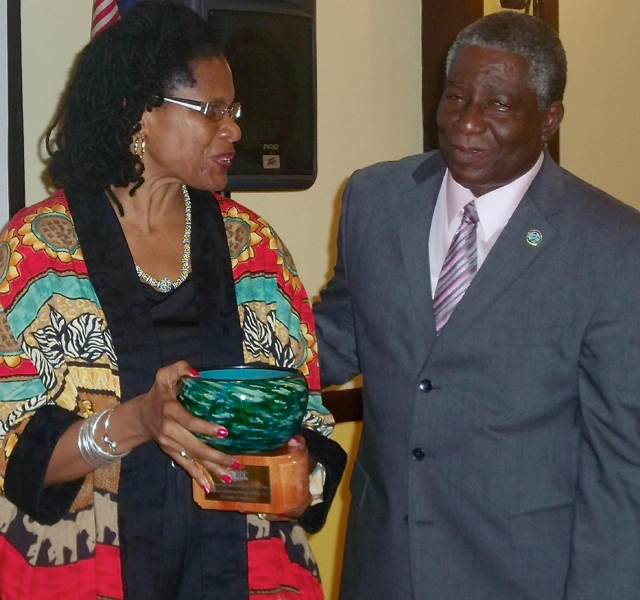 Bennerson was selected by Virgin Islands Small Business Development Center as the 2013 St. Croix Nascent Small Business of the Year for publishing the magazine and for her business, Homeland Collections Portrait Gallery. Most of her career was as an educator in the V.I. Department of Education. She taught business at St. Croix Central High School and math at Arthur A. Richards Junior High School. She worked in early childhood special education and designed curricula and sat on education committees. She said it was extremely rewarding getting to know the children for who they are. She was also a part time professor at the University of the Virgin Islands. Bennerson said she knows when it is time to make a change and not get stuck in one place. When she retired six years ago after 30 years working in education, she said she could move on her own journey and create her own things. “In your own business you can create and re-create and set your own standards,” Bennerson said. She thanked God for the ability to reinvent herself to keep her business growing. She is the daughter of Ena Petrus-Oliver and James Bennerson. She was born in New York and raised on St. Croix. “My mother allowed me to be who I am and prepared me well,” Bennerson added. Bennerson said she was designated, unofficially, as her family’s photographer as a young girl in the 1960s, taking pictures with her Kodak Brownie Starmite camera. She said she has always had a passion for taking pictures of family, friends and fashions. She graduated from St. Joseph’s Catholic High School, and earned her undergraduate degrees in accounting and business administration at the University of the Virgin Islands. She also has a master’s degree in education with a concentration in special education from UVI, and she received her doctorate in early childhood special education from the University of Miami. Randy Germain assists Bennerson in her business and is her significant other. She is on the board of Our Town Frederiksted. She says she loves to travel and get together with friends when she has time.